The convention i went o on Saturday was GREAT the information T.Grey gave out put my hair on fire. He talked about positive thinking and being focused. In any thing that i or a person does there are few things that have to be done 1 Set a goal 2 when planing look to the end and plan backwards to help reach that goal.In First picture Angrla High and me . 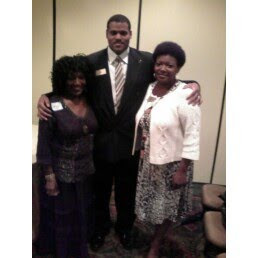 2nd picture left to rightCynthia Moreland, ME and Demetrice Daniels.These three women are some ofthe best business partners a person could have . 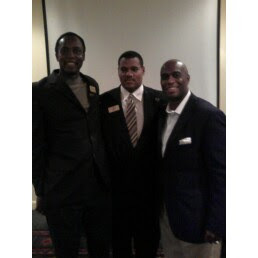 In the third picture Left to right CLarence Smith , ME , T Grey Both powerful motivators.